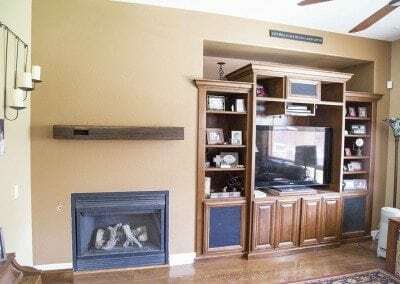 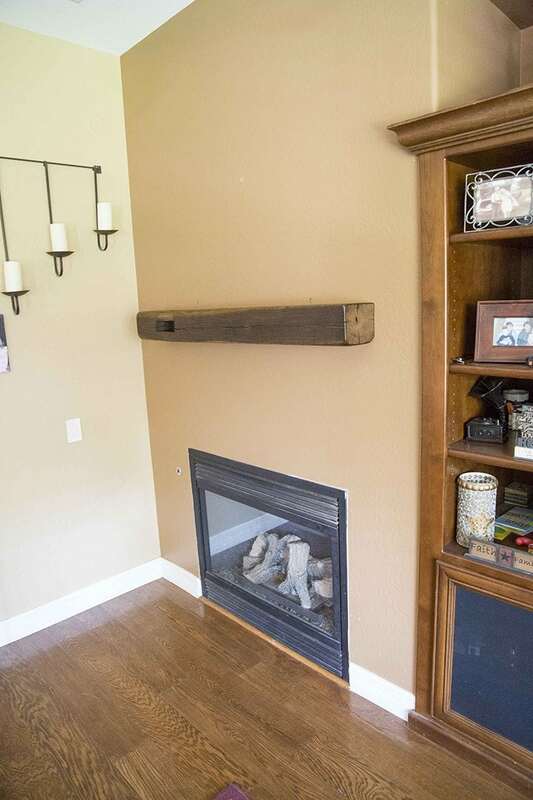 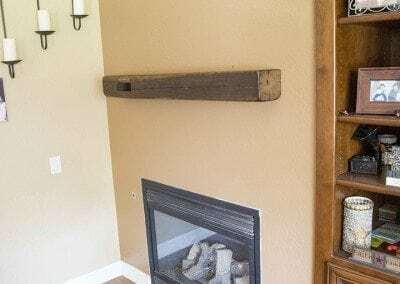 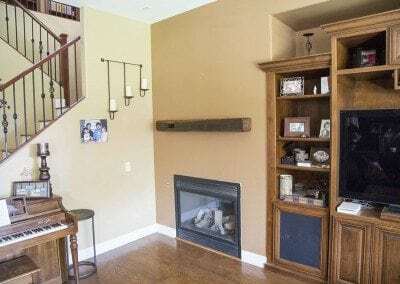 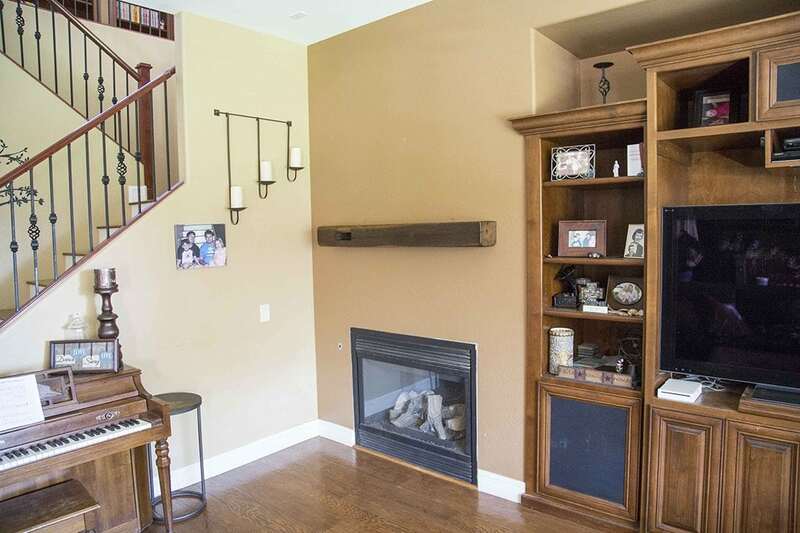 Here’s a really old American Chestnut beam that we repurposed into a beautiful mantel. 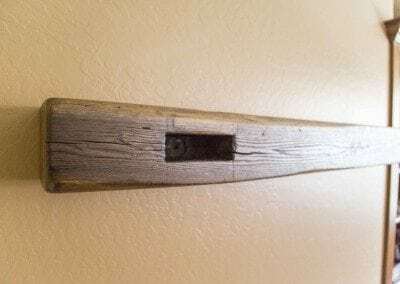 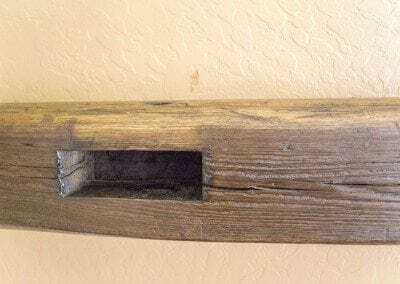 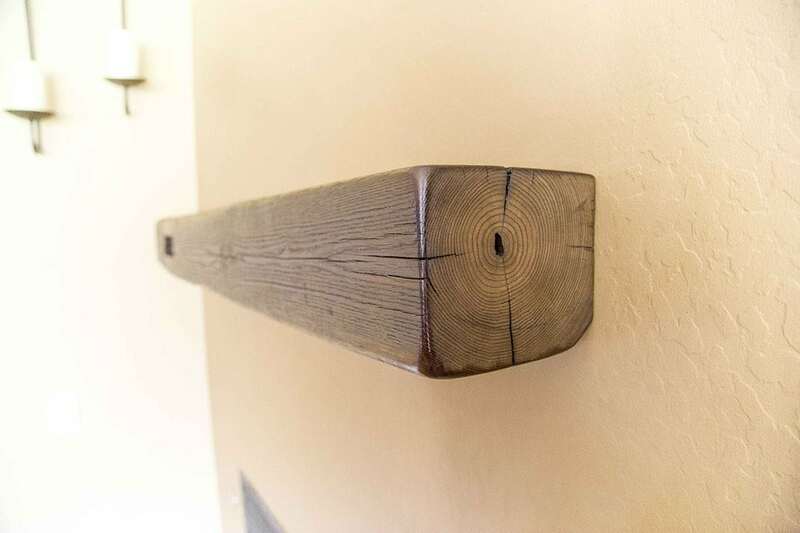 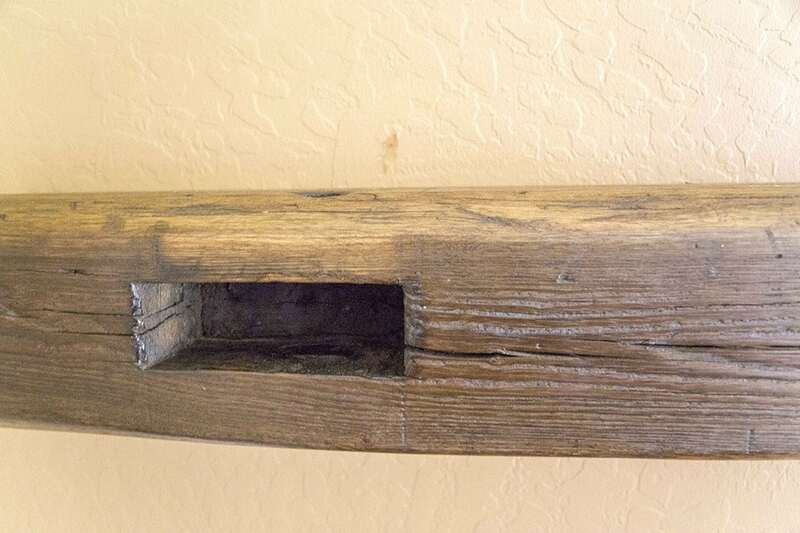 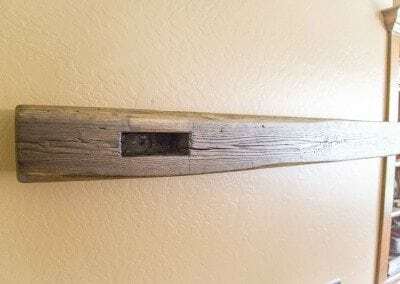 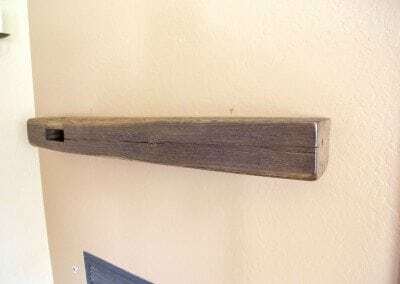 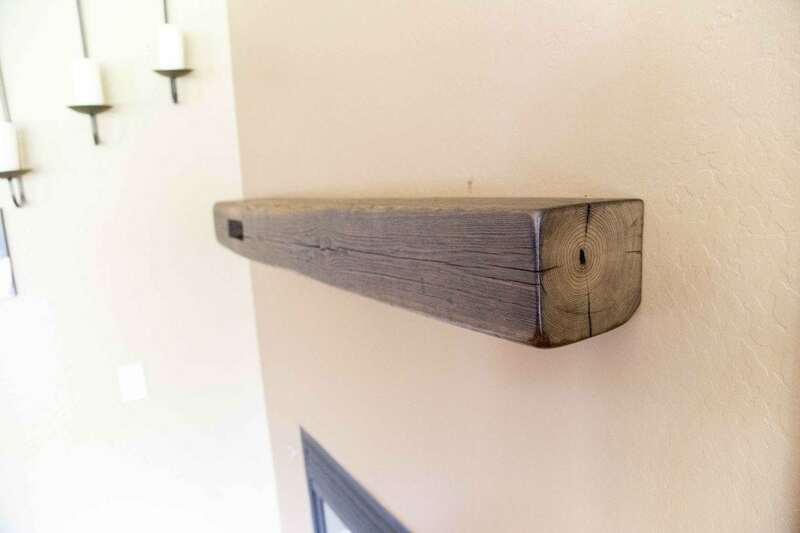 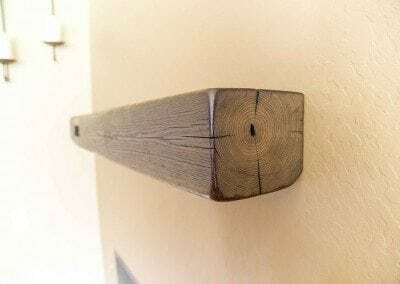 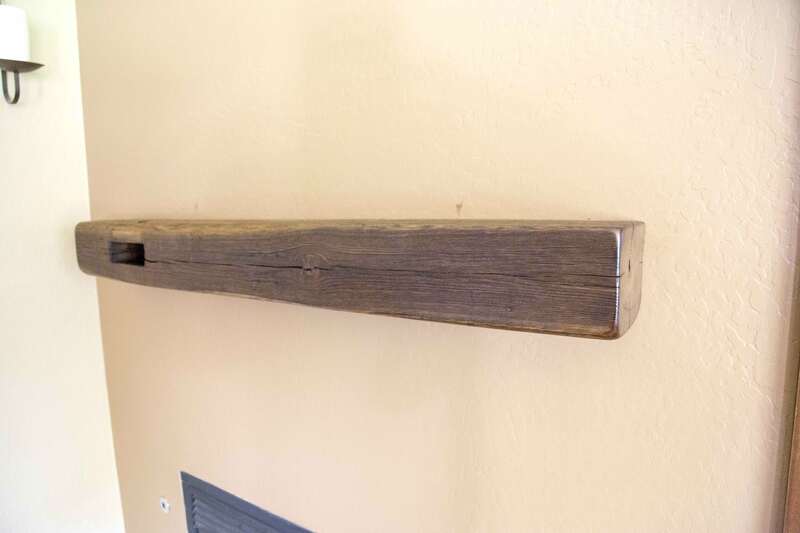 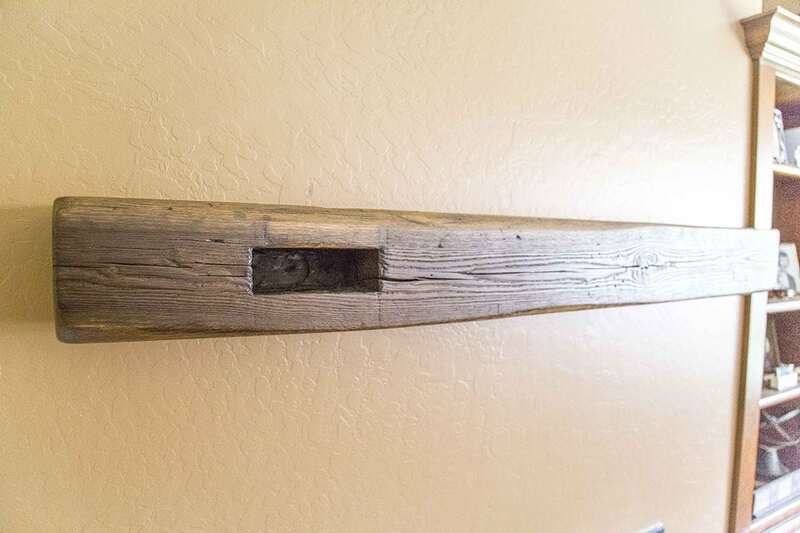 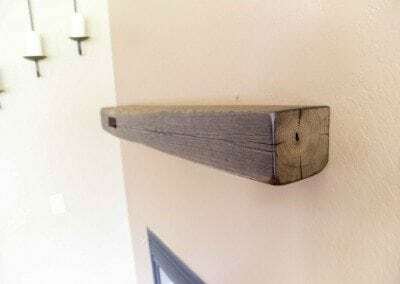 We love the original mortise left in the beam. 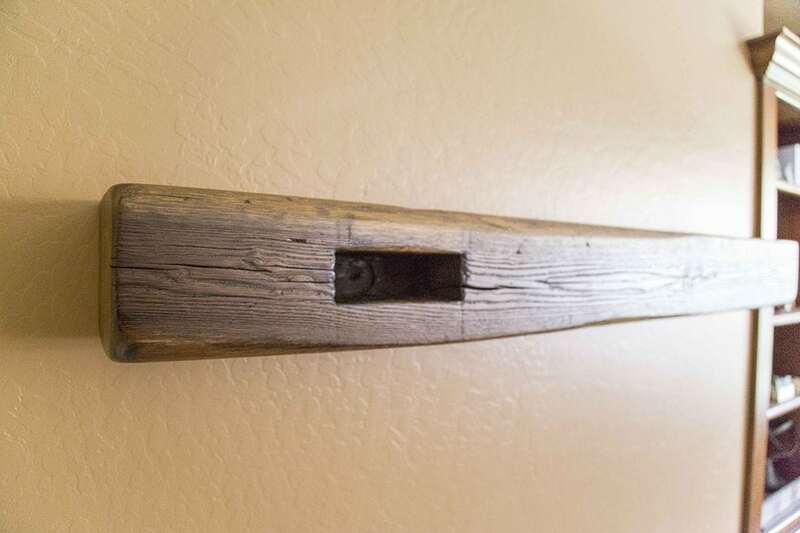 It’s a great reminder of how amazing and different building construction practices were back in the day, and it also adds a bit of nostalgia to the look ;).